IESA Shift is the study association of the MSc Industrial Ecology at Delft University of Technology and Leiden University. Industrial Ecology is an interdisciplinary field that aims at the sustainable co-existence between human society and the environment by combining the natural, technical and social sciences. 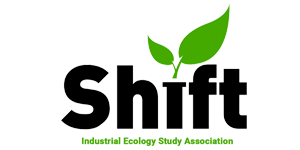 Shift provides a platform for current, former and future students to get in contact with each other, the academic field of Industrial Ecology and the professional work field in order to get the students acquainted with the field of Industrial Ecology. This is done by organising workshops, lunch lectures and other activities with firms and professionals from various backgrounds, as well as by facilitating excursions to Industrial Ecology related events and symposia throughout Europe. By linking students to the broad world of Industrial Ecology in- and outside of the classroom, Shift seeks to help students in better shaping their study and career paths and to provide companies with enthusiastic and inspired students. Want to get in touch with Shift? Please contact us through email!